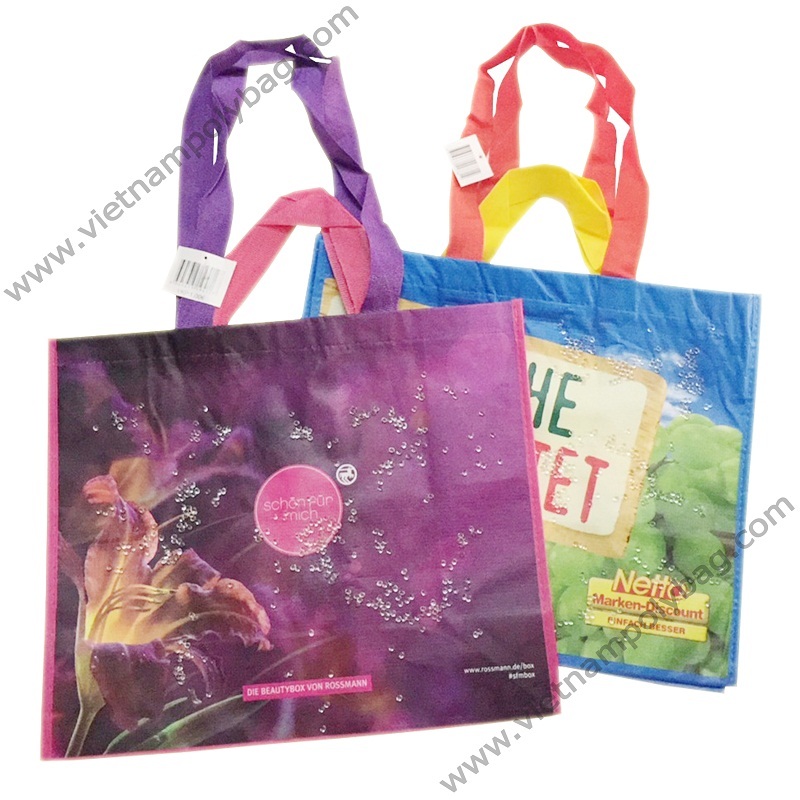 Description: RPET bags are reusable bags made from post – consumer recycled material and from 100% recycled material, mostly resulting from plastic bottles, small weight. RPET reusable bags can be laminated to water proof. Advantage: RPET bags are safe, light, strong and durable make them an ecologic and high-quality bag at low cost. Because made from recycled material, they can easily recycled and reuse again and again. Covered by a film out site, RPET bag are completely waterproof, shatter-resistance. Additionally, they come with a convenient zipper closure, meaning that all stuffs inside will be protected from the elements.